Making horses - we select the finest horses and teach them to play polo. 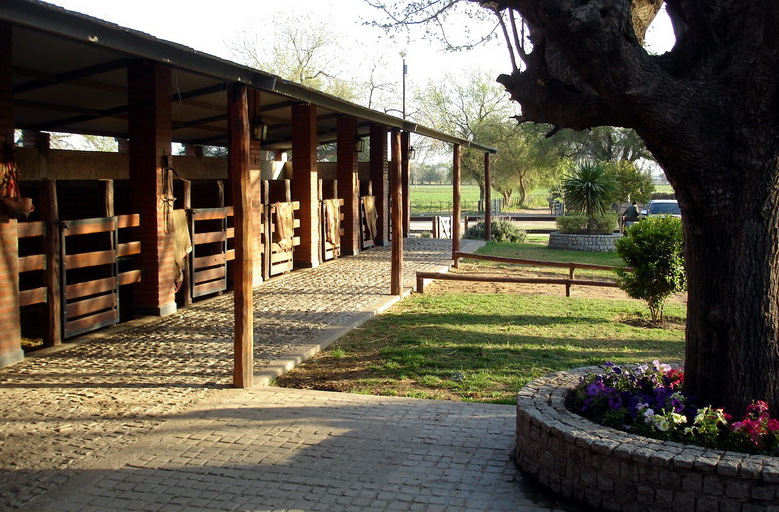 Teach riding and schooling - we teach you to ride Argentine-style and to school your horse. Polo holiday - we can arrange a "polo holiday" or tournament for you in Argentina. Polo professional - we can find a polo professional or groom to work for you on your farm or in your club. Buying horses - we can have 60 ready horses for you to look at. You ride in the morning, and play in the afternoon. We encourage you to spend a week finding the right horses for you. Our philosophy is that the good polo horse must be ridden every day. When you start to make the horse, you must go very slowly. You must relax the horse until he learns about the polo. It is important to ride and play the horse with long reins, so the horse is not tense. When the chukka is finished, you should be able to put the reins on the neck of the horse, and it will walk back to the pony line. This is the properly trained horse. The process of making an Argentinean polo pony begins within the first 24 hours that the foul is born. This is the time of "imprinting." It is very important to be with the horse at this time, because it will remember you and help later when the training begins. 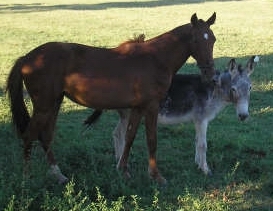 The conformation of a good polo horse is also important. The polo pony should have a long neck and a short body. The chest and rump should be well developed and the withers should measure approximately 155-158 cm from the ground. For the first three years, the horse is left free. Sometimes, it will only be visited and touched for 1-2 hours per month. If the horses are played too early, sometimes they will later develop leg and bone injuries around age six. The horse is usually between 5-8 years old before it is ready to sell, and it must be able to change legs in the canter and to be able to stop quickly. More information on training a polo horse in Argentina. The polo season at Don Pepe is all year round with December-February being the high season. 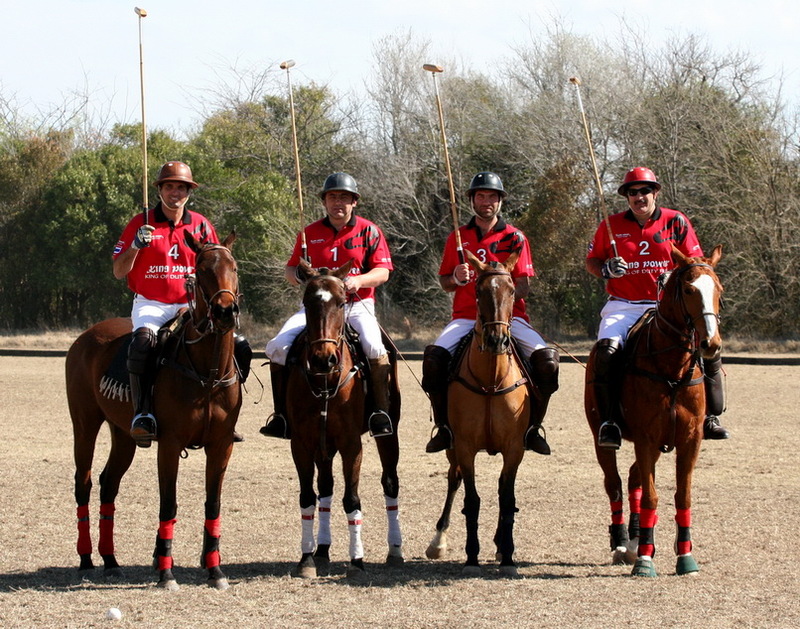 We can help you arrange a "polo holiday" in Buenos Aires or Cordoba to play some tournaments from 0 - 20 team handicap, or to just take some lessons with us. We can charge by the day or by the week. We think riding is the most important element, so we will focus on improving your riding skills for these Argentine horses, and we will teach you the techniques we use for making polo ponies, so that you can go back to your farm or your club and school your own polo horses "Argentine-style." If you contact us in advance, we can arrange tickets for you to watch the Palermo Open (November-December) in Buenos Aires. The price of a Don Pepe polo horse can start as low as US$ 3,000 up to US$10,000. The difference in price depends on the speed of the horse. The slow ones are less expensive. The expensive horses are fast, play well, turn fast, stop fast, ride off hard, are young and have no injuries. We will teach you why different horses have different values. Every horse you select to buy will have a thorough Vet Check (eyes, x-ray legs, age, heart, lungs, blood test) before you take it. Some of these horses are ours, and some we have located on other farms. We suggest you come and ride our horses. Select the ones you think you like. You can ride them in the morning and play them in the afternoon. If you buy a horse, we will teach you how to ride and school it for free. We also help the customer find the best saddle and bit for each horse, and we will teach you why different bits and reins go well with different horses. Please contact us if you would like to visit the farm or play some chukkas with us. We look forward to helping you find the right horse for your polo. If you would like, you can also send us some information about you, so we can help find the appropriate horses before your visit -- Polo Player Information for Buying Horses. 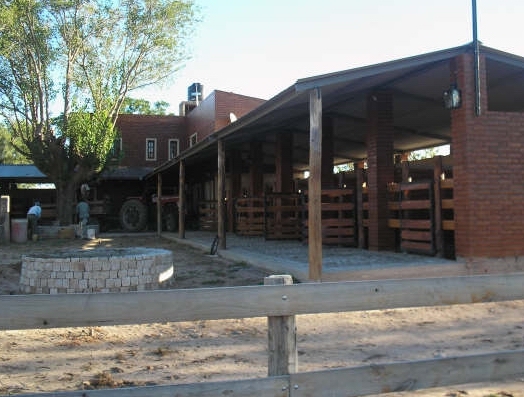 Farm Address: Don Pepe Polo Farm, Avenida Illia 62, 5870 Villa Dolores, Cordoba, Argentina. Tel: 03544426250 (inside Argentina). Shipping: We can arrange air shipping for your polo horses.